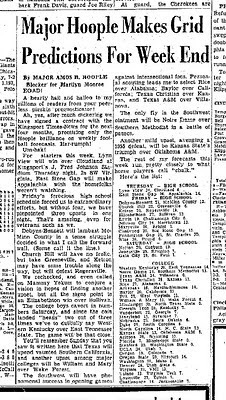 Major Amos B. Hoople makes his first pigskin prognostications in the Kingsport Times 1944. The Old Boy hard at work at the Hoople typewriter in 1950. Hoople's short-lived replacement in 1955. 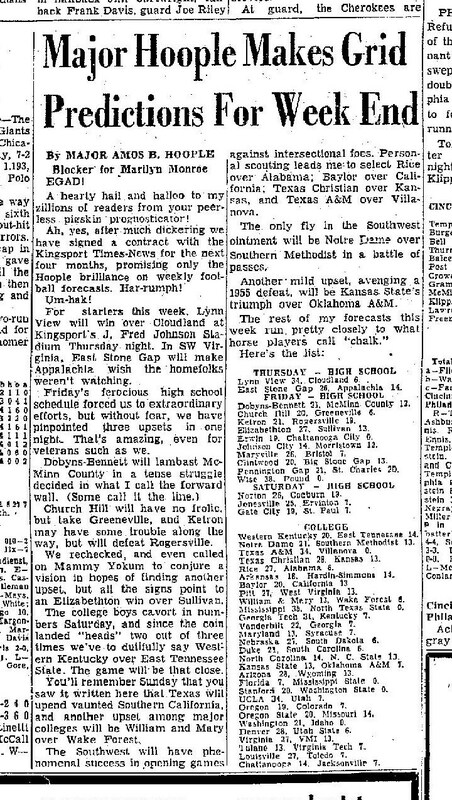 Hoople returns in the fall of 1956. A 1960 column from the Old Boy.